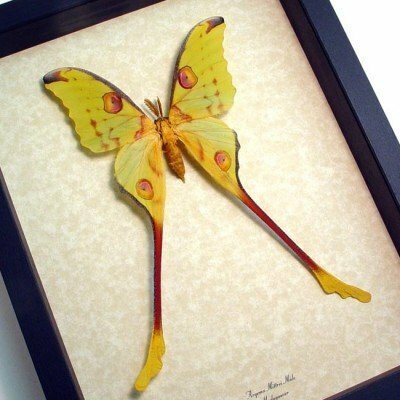 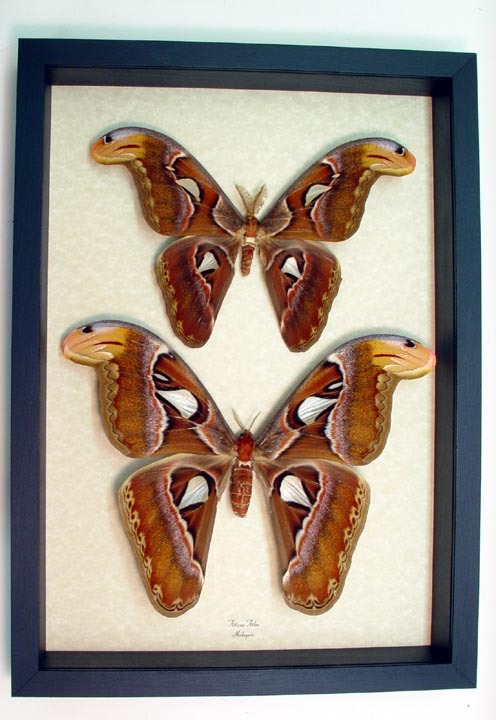 Description: Giant pair of male & Female moths have the appearance of snake heads on their wing tips. 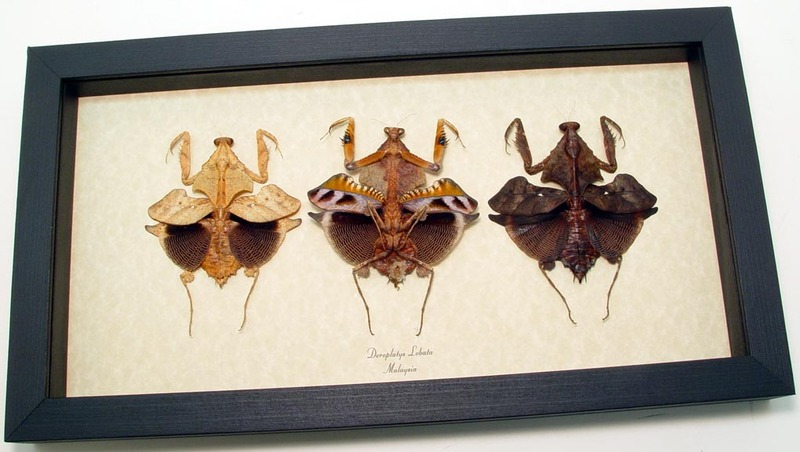 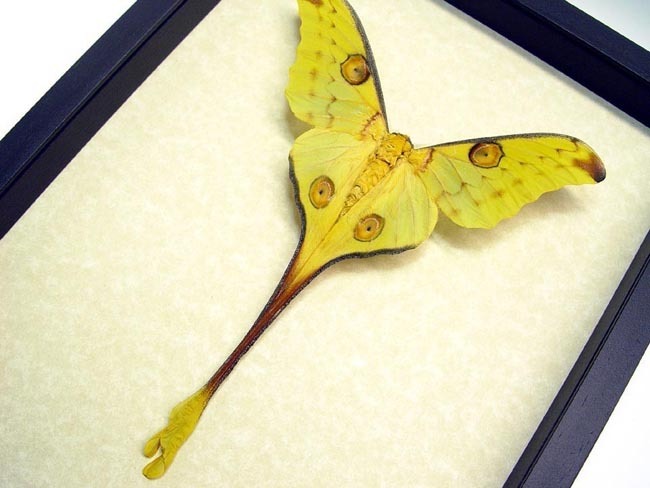 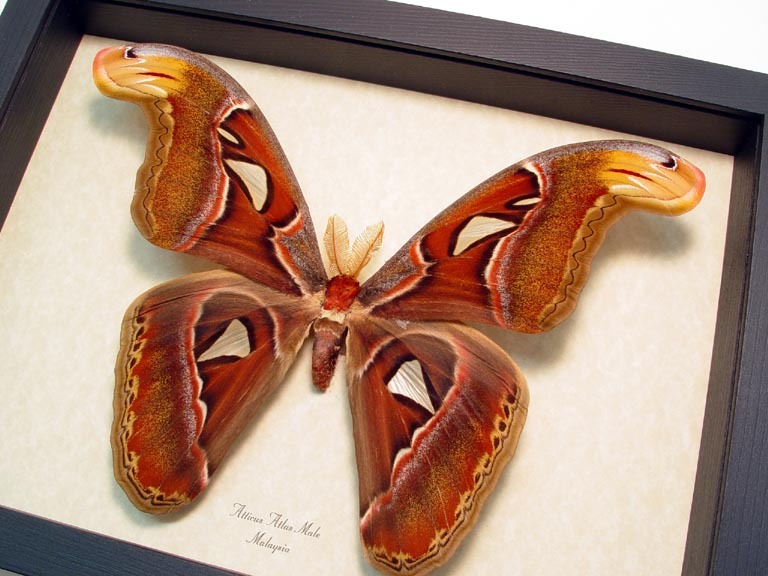 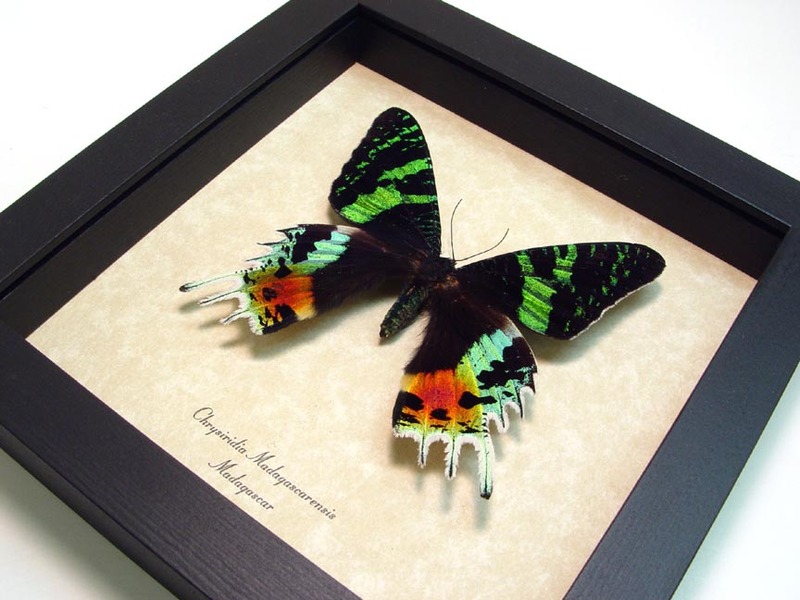 This is a really large showy piece and one of the largest moths in the world. 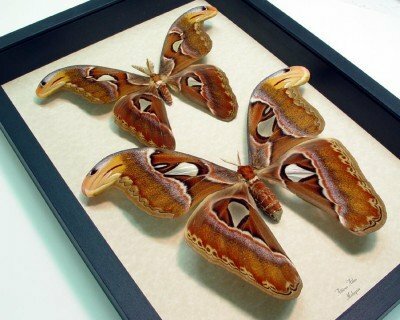 This moth is commonly known as the Atlas Moth. The males have a wingspan of 7″+ female 8″+ true giants!